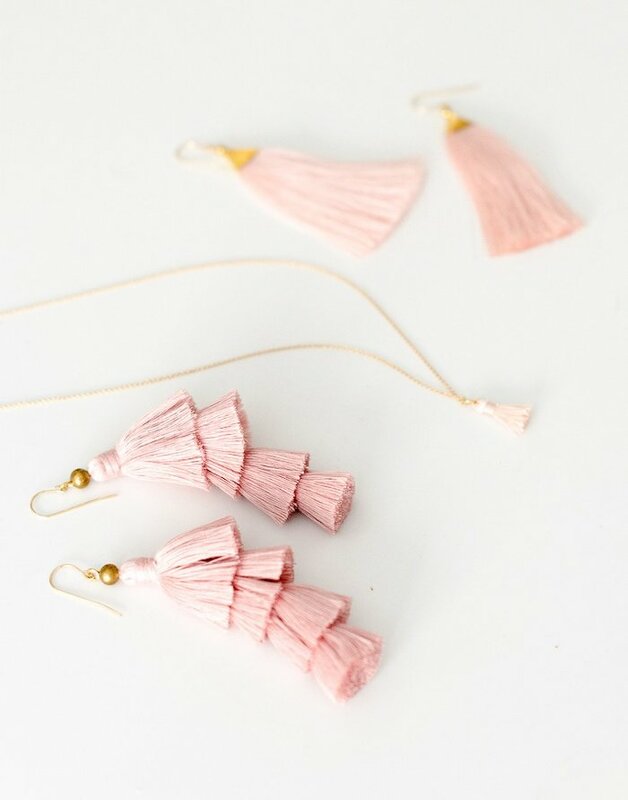 We work with female artisans at Penh Lenh to develop a beautiful collection of jewelry — from tassel earrings to dainty necklaces to statement bracelets. Based out of Phnom Penh, Cambodia, Penh Lenh is a social enterprise committed to empowering marginalized and at-risk young women. We are proud to work with this organization in a collective effort to support these talented women with more job opportunities after they have faced life-changing hardships. Unfortunately, many women who have survived domestic violence or trafficking go back because they do not have an alternative means of life. It is admirable organizations like Penh Lenh that are working to change these devastating statistics. When these women have a safe, welcoming work environment and access to job opportunities and training, they can feel empowered to work toward a brighter future for themselves and their families. 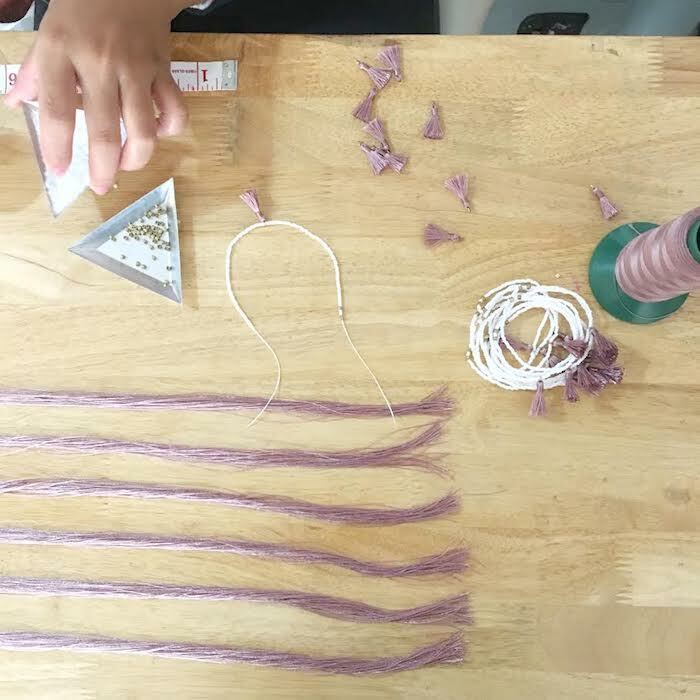 The talented artisans at Penh Lenh work closely as a team throughout the production process. At the beginning of each day, they receive their production goals and a printed template for design instructions. 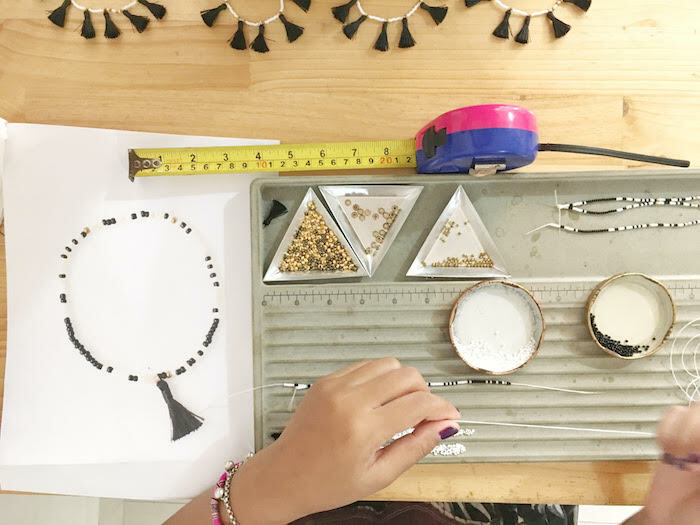 They conduct quality checks and receive training on packaging as well — so it is guaranteed that not only is each piece of jewelry carefully handmade, it is also packaged with love and close attention to detail. As artisans at Penh Lenh, the women receive a high quality of education, vocational and financial training, and career opportunities. 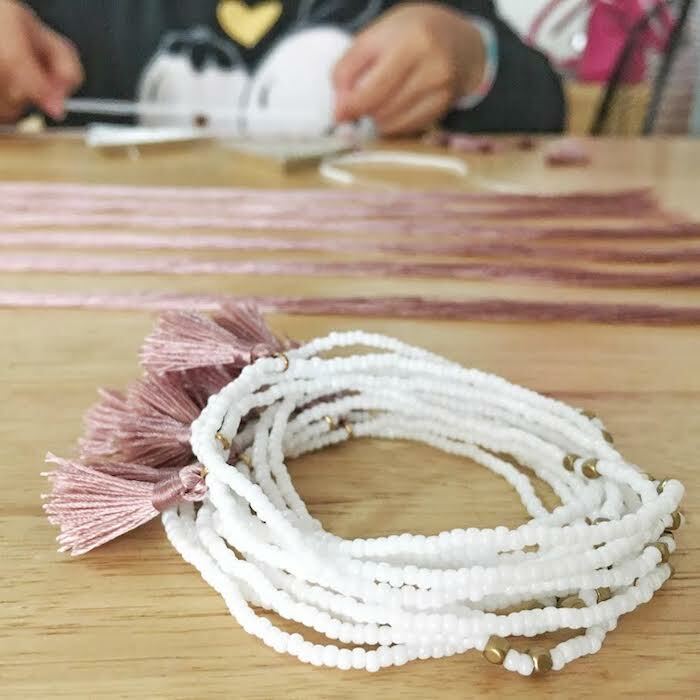 They learn a beading and tassel jewelry technique to make this gorgeous jewelry by hand. Most of the materials are sourced locally within the Southeast Asia region. This includes the handmade gold-plated clasps and chains and the raw silk. Rachel Dodson left New York five years ago to found Penh Lenh, meaning “whole.” She shares our team’s passion for social justice and female empowerment. To learn more about Rachel’s story, you can read her interview here. It’s an honor for us to work with the incredible Penh Lenh team. Their important mission motivates us to work hard to design beautiful jewelry to share with you. 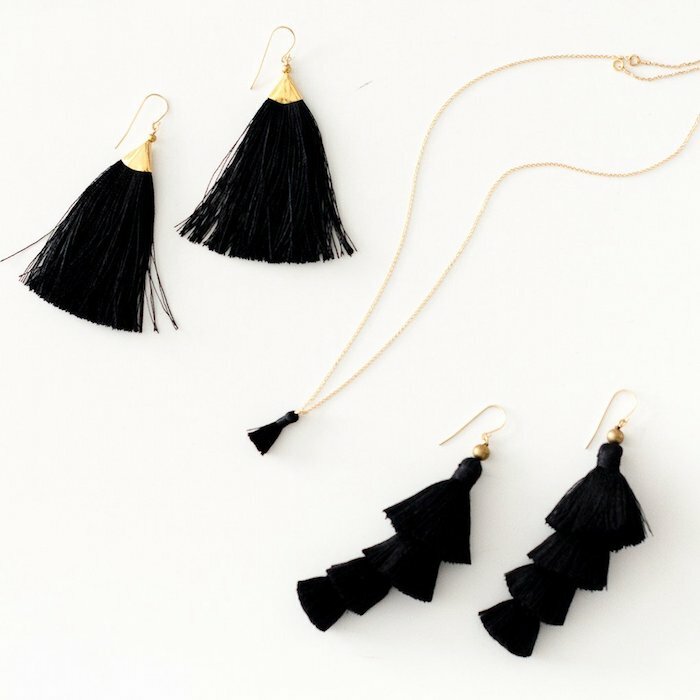 Shop our collection of Penh Lenh jewelry here. Every purchase translates into a positive, long-lasting impact, changing the lives of these hardworking women.